Daughter of Framherji frá Flagbjarnarholti (8.27) and Berglind frá Húsavík (8.20). Framtíð frá Heimahaga is daughter of Framherji frá Flagbjarnarholti (8.20) and Berglind frá Húsavík (8.20). Framherji, that is located in Norway, is a four gaited stallion and has reiceived 8.39 for Conformation and 8.19 for Riding Abilities; 9 for tölt, 9 for trot, 8 for gallop, 9 for spirit, 9 general impression and 8 for walk, total 8.27. Framtíð is Berglind's first offspring and was born on the 24th of May, same day as her sister, Halastjarna frá Heimahaga, just few hours after. Berglind frá Húsavík (8.20). First price five gated competition mare with great spirit. Berglind has received 8.35 for Riding Abilities; 8,5 for tölt, trot and pace, 8,0 for gallop and 9,0 for spirit. She's daughter of Hrymur frá Hofi (8.20; 9 for tölt, trot, gallop and general impression and 8.5 for spirit) and Bjarklind frá Húsavík (Total 8.11). Berglind has great spirit and strong bloodline, her mother, Bjarklind frá Húsavík (8.11), that also is a first price mare, has 8.37 for Riding Abilities and is a sibling of Hrauna (Total 8.44), Hraunar (Total 8.21) and Kamban frá Húsavík (Total 7.99), Kamban was a champion in children's class at Landsmót 2011 and 2012 (A-Finals Total 9.02). 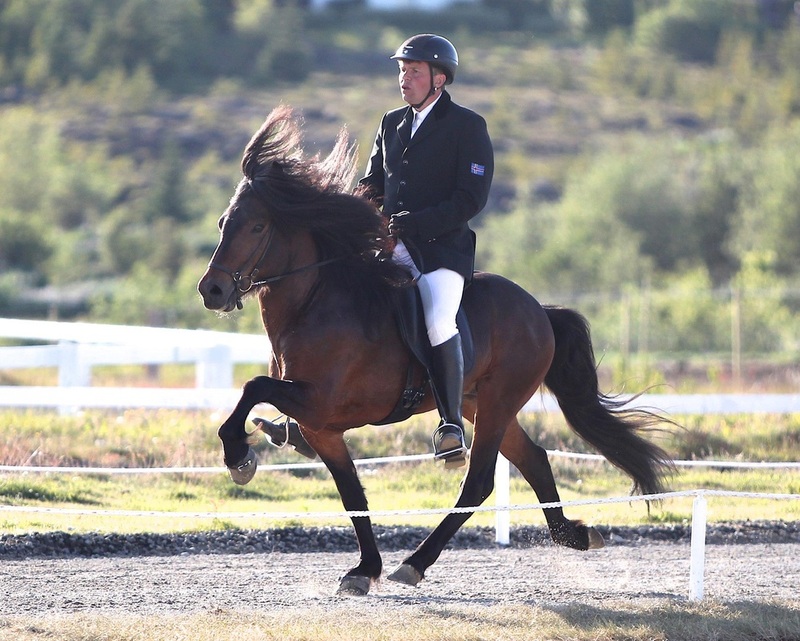 Framherji frá Flagbjarnarholti (8.27) is a four gaited stallion and located in Norway. Framherji has 8.39 for Conformation and 8.19 for Riding Abilities; 9 for tölt, 9 for trot, 8 for gallop, 9 for spirit, 9 general impression and 8 for walk, total 8.27. Framherji has also Framherji is son of of the four gaited stallion Hágangur frá Narfastöðum (8.31) and Surtseyn frá Feti (8.06). 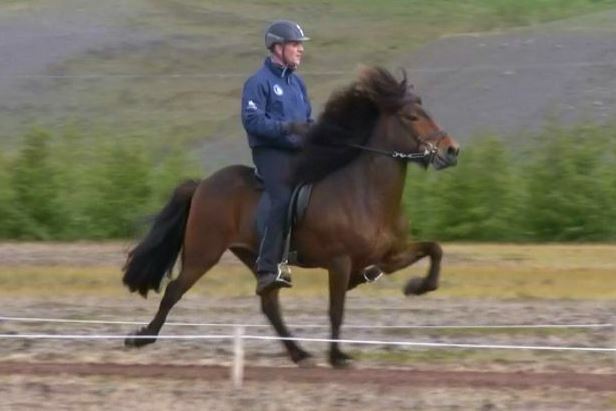 Hágangur frá Narfastöðum has 8.41 for Comformation and (8.25) for Riding Abilities; 9 for tölt, 9 for trot, 8.5 for gallop, 8.5 for spirit, 9 for general impression and 8.5 for walk. Total (8.31). Hágangur has also 8.5 for slow tölt and 8 for canter. At Landsmót 2008, Hágangur got 1. price for his offsprings and at Landsmót 2011, he got honorary award for his offsprings. 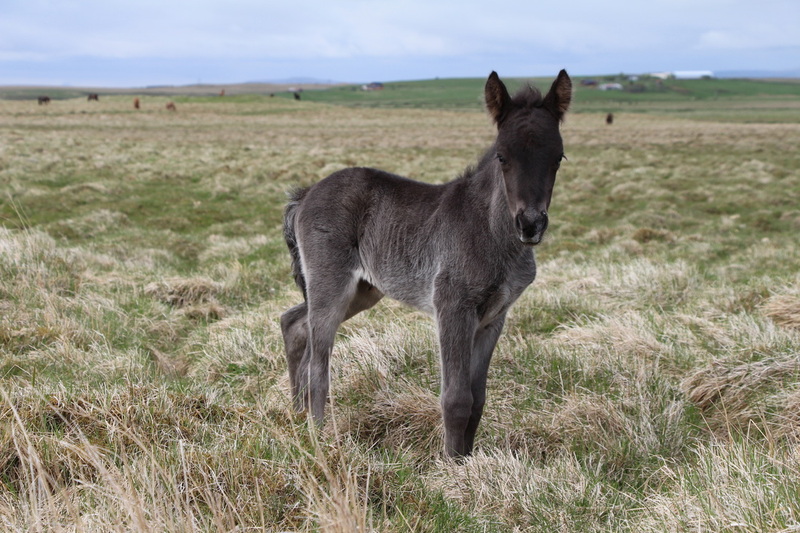 Berglind frá Húsavík (8.20) is a first price five gated competition mare with great spirit. Berglind has 7.96 for Conformation and 8.35 for Riding Abilities; 8,5 for tölt, trot and pace, 8,0 for gallop and 9,0 for spirit. Total 8.20. She has also 8 for slow tölt and 7.5 for canter. She's daughter of Hrymur frá Hofi (8.20; 9 for tölt, trot, gallop and general impression and 8.5 for spirit) and Bjarklind frá Húsavík ( 8.11). Berglind has great spirit and strong bloodline, her mother, Bjarklind frá Húsavík (8.11) has 8.37 for Riding Abilities and is a sibling of Hrauna (Total 8.44), Hraunar (Total 8.21) and Kamban frá Húsavík (Total 7.99), Kamban was a champion in children's class at Landsmót 2011 and 2012 (A-Finals, Total 9.02).